Ramirez isn't scheduled to throw a bullpen session until the last week of spring training. 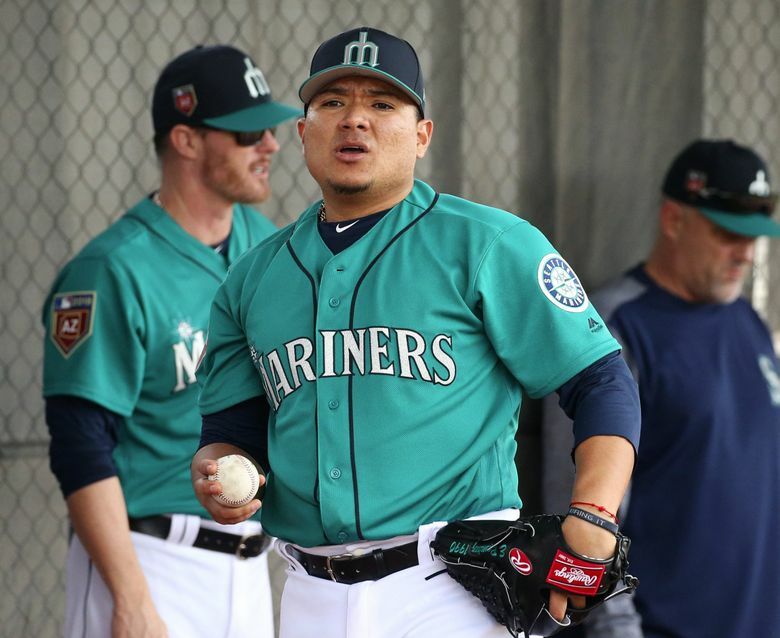 PEORIA, Ariz. — Right-hander Erasmo Ramirez won’t be on the Mariners’ opening day roster. The Mariners pretty much expected that when his recovery from a minor lat strain started taking as long as a recovery from a regular lat strain. With two offdays mixed into the six games following their opening series against the Indians at Safeco Field, there isn’t a need for a fifth starter in the rotation. It would give Ramirez extra time to build arm strength and log innings on a rehab stint. And yet, that might not be enough. It appears now that Ramirez might not be ready to go when the fifth starter would be needed on April 11. The little right-hander has yet to throw on off mound making a timetable for a return by then seem highly unlikely. Following a typical throwing progression, that doesn’t put Ramirez returning by April 11 or even the following week. The logical move will be either to call up right-hander Rob Whalen or lefty Ariel Miranda from Class AAA Tacoma the day before to make that start. Servais dismissed any notions that Miranda or Whalen might pitch out of the bullpen. *** Lefty Sam Moll, who the Mariners claimed off waivers from the Pirates in the offseason, was claimed off waivers by the Blue Jays on Saturday. Seattle was trying to push Moll through waivers and outright him to Class AAA Tacoma to create another open 40-man roster spot. Seattle now has three open spots on the 40-man roster. The need for open spots becomes important as the season nears so the Mariners have the flexibility to add a non-roster player in camp if needed or claim one of several players that will be designated for assignment in the coming week.